Does your size reduction process need two stages? You may only need one. 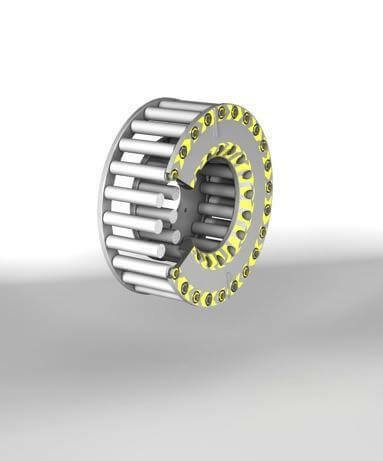 Think of handling, maintenance and wear part costs you could save. If it's possible, we'll prove it in our test plant where you can witness the testing, wear parts analysis and energy consumption results for yourself. We have more than 10,000 other size reduction equipment tests on file to help your process be the most efficient it can be. Give us a call and an applications expert will guide you through the steps and ask the right questions. Cage Mills have a high ratio of size reduction after a single pass through the cages. Learn more by downloading High Size Reduction Ratios. 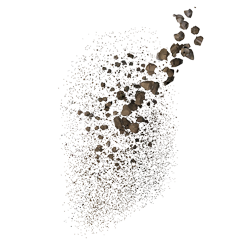 Cage Mills can be applied to effectively crush, grind and pulverize a broad array of abrasive and non-abrasive materials, including wet sticky types. They reduce materials solely by impact and range in size from as small as 24 inches to as much as 62 inches in diameter. In general, the larger the mill, the lower the cost of operation when measured against tons of output. The cages are arranged concentrically, with each row spinning in the opposite direction from that of the row adjacent to it. The material is fed into the innermost cage, where it is struck by the massive spinning pins and distributed 360 degrees around the cage. Centrifugal force and the reduced size allow for the material to continue to be fed throughout each row. The farther away from the center cage the particles travel, the more their impact velocity is increased. In the process of being thrown from row to row, the particles also strike each other, continuing to reduce the size. Controlling the speed at which the cages revolve allows the operator to control the amount of reduction that takes place. 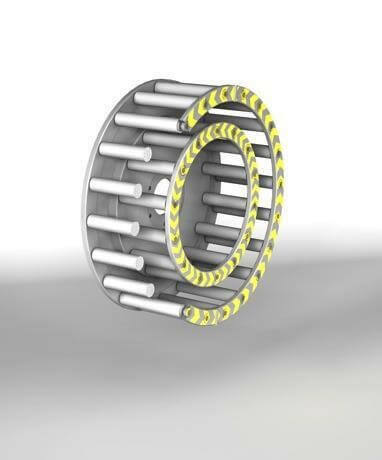 If the speed is properly preset and controlled, the material will need no further reduction. They are finally thrown against the tough breaker plates that line the inside of the housing. After many violent strikes against the pins, breaker plates and each other, the much reduced particles are caught by the outer housing and allowed to drop through the discharge at the bottom of the housing. Cage Mills have a high ratio of size reduction after a single pass through the cages. Here's why, and how. Hands down one of the most versatile size reduction machines and one of the hardest working is the cage mill. There are several varieties of cage mills, but their similarities are more numerous than their differences. They all are internally fed impactors that can crush, grind or pulverize many different materials to specified degrees of fineness. By 1900, Nathan Stedman had built more than one hundred cage mills designed exclusively to crush coal. Soon other applications were discovered, leading to the increased use of cage mills for crushing such products as chemicals, clay and fertilizer materials. Multiple-row cage mills – two-, four- and six-row -- were commonplace. It was not until the 1930s that the true value of cage mills in the production of agricultural limestone and the crushing and beneficiation of stone and gravel was realized. The cage mill was so popular the Stedman Machine Company became part of farming vernacular -- farmers began referring to agricultural limestone as “Stedman Lime” due to the cage mill's unique capability to create the proper material fineness in just one pass through the crusher. Single-row cage mills were used extensively in the construction of the pioneered Pennsylvania Turnpike, primarily for the beneficiation of aggregates. Beneficiation is an elementary process, but it still is one of the most widely practiced applications of single-row cage mills. Gravel is passed through the mill and the softer, undesirable particles; -- breaking more readily than the harder ones; -- are screened or washed away, leaving a hard, high-quality aggregate. New uses are constantly being discovered for these versatile workhorses, but the nature of cage mills is such that improvements in them tend to be gradual and evolutionary instead of dramatic and revolutionary. 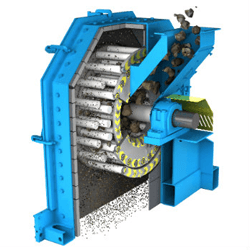 Fundamentally, cage mills are crushers capable of reducing or disintegrating many kinds of materials to small pieces. They reduce materials solely by impact and range in size from as small as 18 inches to as much as 72 inches in diameter. However, custom units may range as high as 96 inches in diameter. In general, the larger the mill, the lower the cost of operation when measured against tons of output. A typical cage mill has only one part that moves - the rotor assembly. 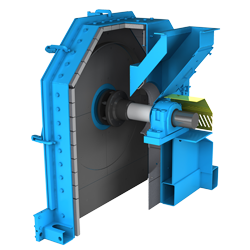 The material to be crushed is fed into the center of the rotor, or cage, through an intake hopper. The massive bars of the spinning cage aligned in rows strike the material and smash it into particles. 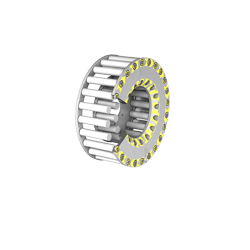 The particles are then thrown against subsequent rows, other particles and the cage housing where they impact against breaker plates. Every impact - against cage bar, breaker plate or another particle - tends to reduce the original matter further, into more numerous and smaller pieces. By the time the material finally escapes from the cage mill, it has been thoroughly crushed. 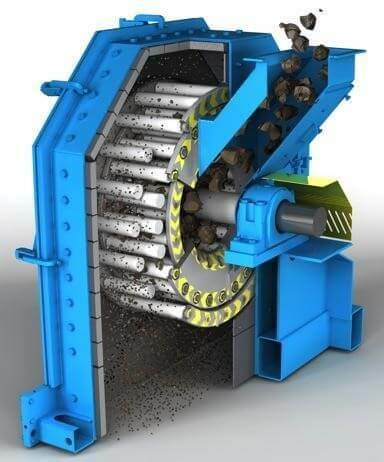 The major difference compared to other size reduction methods is the absence of close clearances between the crushing part and the breaker plates, allowing for less maintenance and higher efficiency of the machine. Also, they do not require grate bars as the principal source of impact in the cage mill are the pins of the revolving cages. Impact crushing, particularly impact crushing that uses the most suitable cage mill available, has a number of advantages over compression crushing. Cage mills produce a more cubical product of consistently high quality and they are capable of a very high ratio reduction. There is no decrease in quality of the product even after long periods of operation. Cage mills represent a lower initial investment than most other types of crushing equipment and maintenance is easy and inexpensive to perform. The wisest and most effective use of cage mills depends on a proper understanding of them, of how they are made and what they will and will not do. Multi-row mills typically consist of an even number of cages: two, four or six. The cages are arranged concentrically, with each row spinning in the opposite direction from that of the row adjacent to it. Two motors are required. They are mounted on opposing sides of the mill, where they turn in opposite directions. One, two or three rows may be mounted on each shaft. A multi-row cage mill utilizes multiple stages of selective impact reduction. The material to be reduced is fed into the center of the innermost cage, where it is struck by the massive spinning pins and distributed 360 degrees around the cage. Centrifugal force and the impact of the pins causes the material, now reduced to smaller pieces, to pass through the cage into the pins of the next row, which is spinning in the opposite direction. The farther away from the center cage the particles travel, the more their impact velocity is increased. In the process of being thrown from row to row the particles also strike each other. They finally are thrown against tough breaker plates that line the inside of the housing. After many violent strikes against the pins, the breaker plates and each other, the much-reduced particles are caught by the outer housing and allowed to drop through the discharge at the bottom of the housing. Properly presetting the speed of the cages allows the succeeding rows, moving from the innermost outward, to act principally on the particles that have not yet been reduced to the desired size. Particles that have been crushed sufficiently tend to pass through the subsequent rows without being materially affected. Thus, over crushing or under crushing is effectively controlled by adjusting the speed of the cages. All cage mills are fed internally - - the material to be crushed is dropped into a hopper, from which it travels by chute into the center of the innermost row. It falls from the chute onto the spinning pins of the cage, which strike the falling pieces of feed and explode them into many smaller pieces. 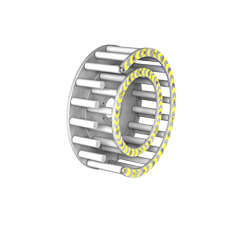 The particles are propelled by centrifugal force from the innermost cage into the pins of the adjacent row, which is spinning in the opposite direction. Particles that are still too large are struck by the pins of the second row and reduced further. The reduction process continues through any additional rows that may be part of the machine. The impact velocity of the particles increases as the centrifugal force carries them outward from one cage to the next until they finally strike the mill housing and drop toward the large discharge opening at the bottom of the housing. Controlling the speed at which the cages revolve allows the operator to control the amount of reduction that takes place. That is, if the speed is properly preset and controlled, the material will be reduced to its desired size at some point during its trip through the cage mill and then virtually no further reduction will have to take place. 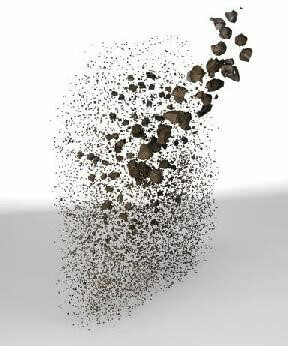 The selective impact crushing that is a characteristic of cage mills minimizes the amount of oversize and undersize particles to be found in the finished product.